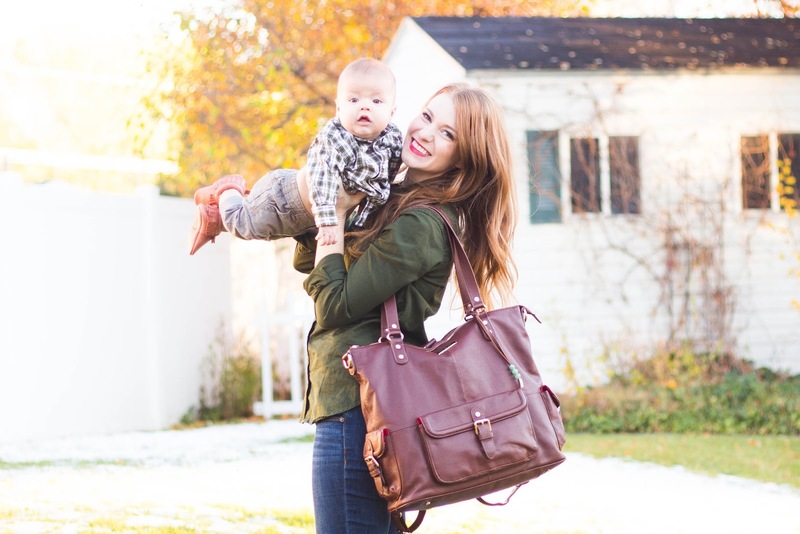 We are totally and completely obsessed with Lily Jade diaper bags. 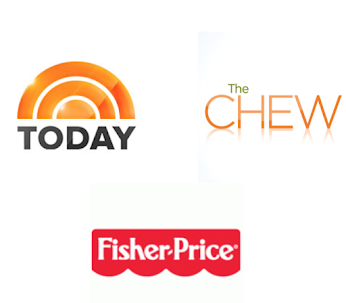 We really can't say enough wonderful things about them. They are beautiful, luxurious, and functional. One of our favorite features, is that they can be converted to a backpack. How amazing is that? This makes holding, and snuggling baby just that much easier. 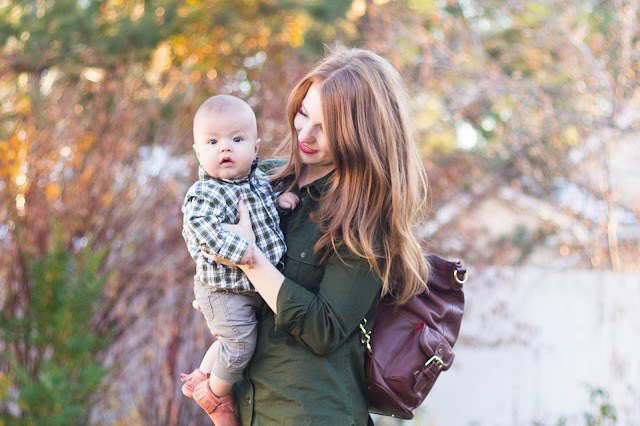 If you have more than one child, which Steph and I both do... having a diaper bag that converts to a backpack is a MUST! The Meggan in Brandy is my current favorite accessory of all time. It is HUGE, yet not bulky. It has a total of 21 pockets, perfect for everything baby needs and mama too. I love the big front pocket. My phone lives there. I am in LOVE with the magnetic snaps on the three pockets on the outside of the bag. 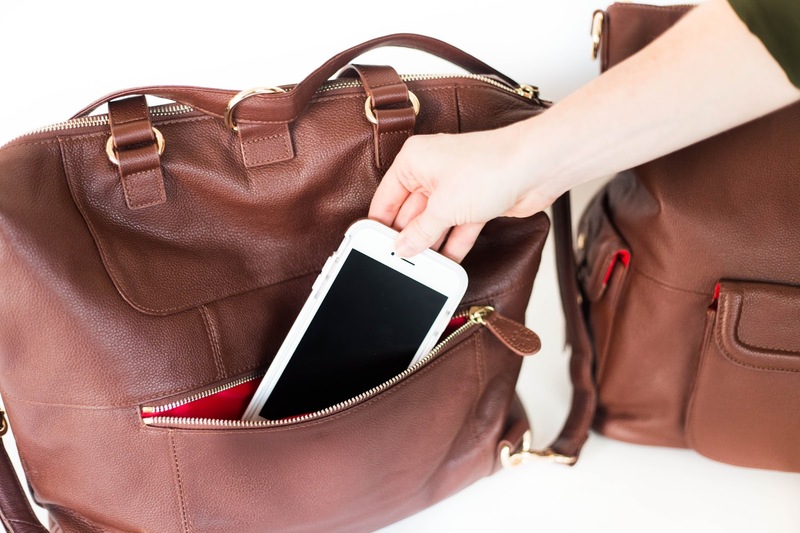 These three pockets are perfect for housing my keys, phone and my little man's Binky. Gotta love the easy access for those important things! Isn't this bag just beautiful converted to the shoulder strap too?! Steph and I have a little rivalry going on here. She is currently rocking the Shaylee in Brandy, and claims it is the best in the land. It can also be converted to a backpack for the utmost convenience. She loves the large back pocket on the outside of her bag. 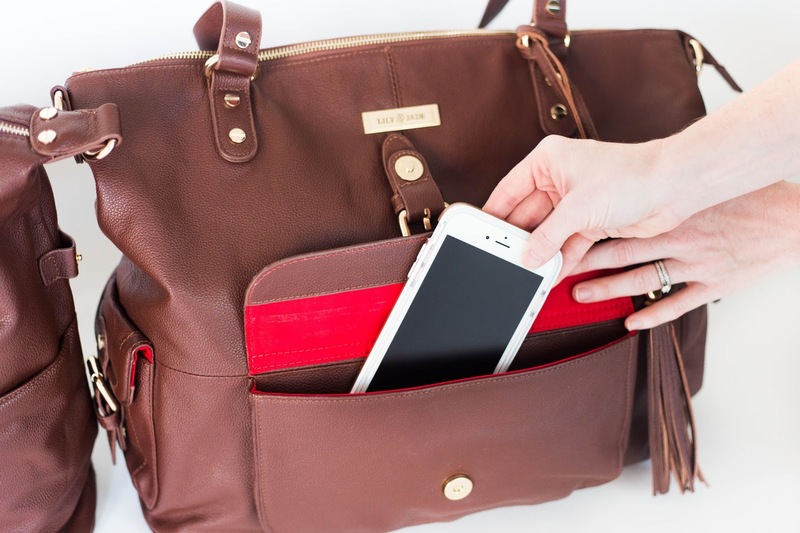 Although a little smaller than the Meggan in Brandy, it is big enough to hold all the essentials and more. 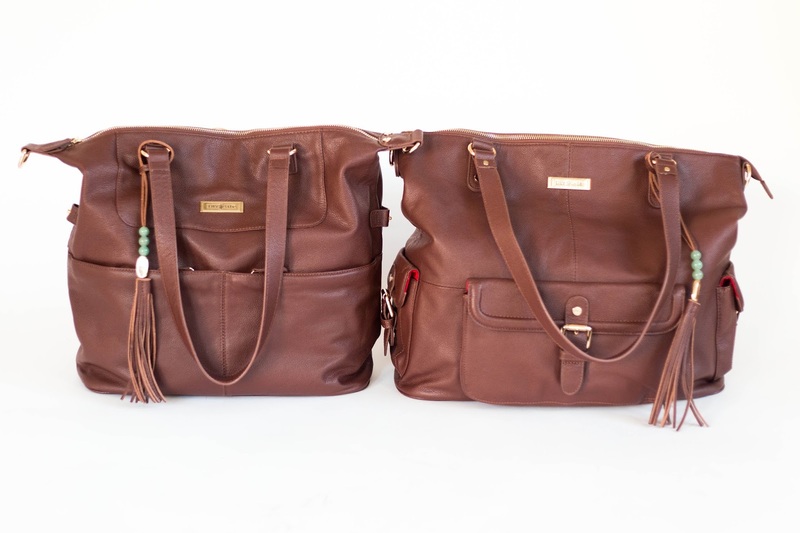 Pictured below on the left is the Shaylee in Brandy. Pictured below on the right is the Meggan in Brandy. Both are beautiful Both are perfect bags in their own way! Honestly, you can't go wrong with a Lily Jade diaper bag. Are any of you wishing for one of these beauties under the Christmas tree this year?? A little birdie told me these bags are on sale right now. 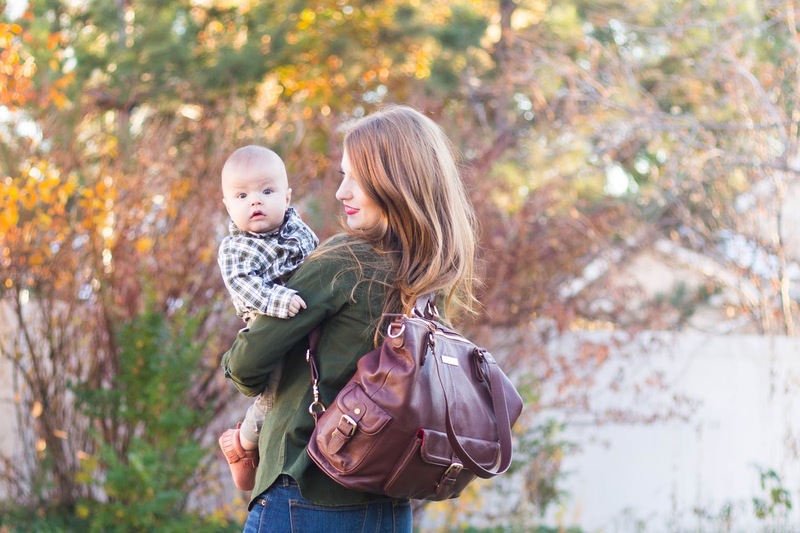 Take it from us, these are the best diaper bags out there. This diaper bag is too cute!!!!! I know!!!! Can you even stand it?! They are seriously the BEST!!! Yes! We are in love!